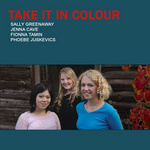 Take it in colour / Sally Greenaway, Jenna Cave, Fionna Tamin, Phoebe Juskevics. Recorded/performed at: ANU School of Music Studio, ACT Jenna Cave 6 mins, 16 sec. Recorded/performed at: ANU School of Music studio, ACT Jenna Cave Jono Apps, Niels Rosendahl, Rob Lee 7 mins, 27 sec. 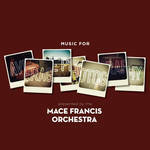 Recorded/performed at: ANU School of Music studio, ACT Jenna Cave Madeline Hawke, Michael Azzopardi 5 mins, 47 sec. Recorded/performed at: ANU School of Music studio, ACT Sally Greenaway 7 mins, 33 sec. 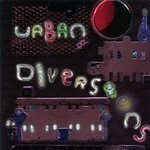 Recorded/performed at: ANU School of Music studio, ACT Sally Greenaway Jono Apps, Sally Greenaway, Niels Rosendahl, Ben Rodgers 8 mins, 23 sec. Recorded/performed at: ANU School of Music studio, ACT Sally Greenaway Sally Greenaway, Phoebe Juskevics 1 mins, 51 sec. Also includes: Coffee song / Fionna Tamin -- Beautiful hate / Phoebe Juskevics -- I'd live better in my dreams / Fionna Tamin -- Freedom / Phoebe Juskevics. 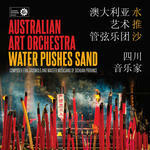 CD: Water Pushes Sand / Australian Art Orchestra, composer Erik Griswold and Master Musicians of Sichuan Province. 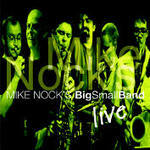 CD: Live / Mike Nock's BigSmallBand. 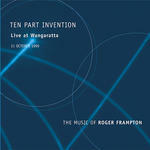 CD: Ten Part Invention live at Wangaratta : the music of Roger Frampton.